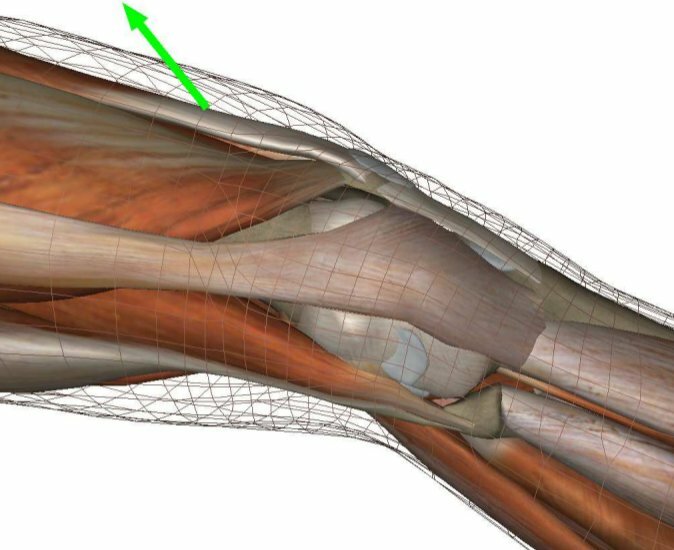 Interactive biomechanical simulations allow us to interact in real-time with 3D anatomical models. They are increasingly used for surgery rehearsal and teaching, and we believe that their use will spread to other domains such as industrial design and games. Deformable objects such as muscles and organs are typically modeled using Finite Elements, where each node of a volumetric mesh undergoes physical laws (see image below). High quality simulations require fine meshes with lots of nodes, which are difficult to simulate in real time. Finite Element simulation of an abdominal cavity. A promising way to reduce the complexity is to extract the principal deformation modes of the objects (see image below), typically a few dozen, and to express object deformation as a weighted combination of these. So far, this has only been applied to individual objects. 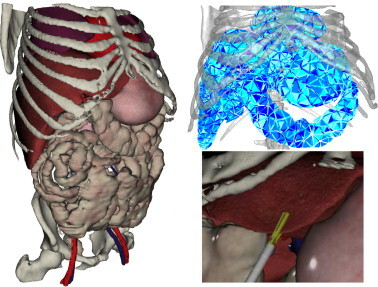 Our goal is to create reduced models for complex structures, up to a full human body. 4 linear modes of a cantilever beam. In this work we will improve our simulation of a human knee, illustrated below. Interactive simulation of a knee using our Frame-based approach. Reduced models are challenging for this model due to the large deformations it undergoes. Getting inspiration from previous work (pose-space deformation, rig-space physics, subspace clothing simulation) , we will consider two levels of motion. The coarser level will consist of a pose-space deformation method, a popular method in movies, controled by simple physics. The second level will add flesh deformation modes on top of it. At each level the reference deformations will be computed using the SOFA simulation library. The results may be used to improve the technology of the Anatoscope startup company. This work may be continued as a PhD thesis, or engineering work in the company.